Suddenly I was stopped dead in my storytelling tracks by an email that expressed outrage at something I wrote in one of the first three episodes of this story. This story is “only” about bread, just like most of the stories here are “only” about wine. Both suffer from being frequently regarded and occasionally dismissed as “specialist” subjects, as if they existed in isolated corners of the world, or possibly were somehow cut off from the rest of the world so that they didn’t connect with things political, society, the rest of the economy or human emotions. No explanation is ever offered for this view, rather it is presented as being self-evident to anyone who has any brains. Questioning it is regarded as the sure sign of a feeble mind. In fact, I’d say that in the West both bread and wine are highly emotional products loaded with symbolic meanings and personal associations. And that’s the reason that they are worth writing about. Of course, a really good story not only has a beginning, a middle and an end (thank you Aristotle for that vital observation), but also has a heroine or a hero, by which I mean someone which we the readers, hearers and/or viewers identify with. In some stories that central role is occupied by an anti-heroine or anti-hero, but this doesn’t fundamentally alter the situation for the purposes of storytelling, for we still connect with that person (though through very different emotions). In this story that Very Important Person is the baker Peter Klann, the guiding spirit of the SoLuna Bakery in Berlin until his death just over a year ago. It might seem from the those first three episodes that Peter is clearly the hero, and there is indeed so much which was positive about him that he often is the hero of this story. However, like everyone else, his personality was not all positive. During his last months he tried to constructively downsize SoLuna and make it less of a local bakery (i.e. one that doesn’t treat non-locals as second class citizens, as happens sometimes in Berlin), a process that looked like Peter trying to reinvent SoLuna yet again. Don’t get me wrong, every small business has an optimum size at which it is run by a team ideally matched to a particular level of production and quality of product. An important part of the art of running a small business is recognizing where that point is, then moving there. Maybe Peter was right, but from the outside it looked chaotic. For some ex-employees who departed SoLuna at this time Peter is definitely an anti-hero, whereas for others he is the guru of baking. What I am trying to do here is neither to idealize Peter Klann, but to tell his story how I experienced it. For this reason I am not willing to remove anything from these first three episodes of this story, nor from this one or any of those which follow. Everyone is invited to comment, and as long as I don’t think that a comment is libelous or ugly then I will let it all stand. It is my belief that every story can be told many different ways and they can all be true. PS The photograph was taken in August 2012 in Berlin when I saw Peter for the last time, and in my mind it leads me to the next episode of this story. It says a great deal about Peter Klann – until his death just over a year ago the guiding spirit of the Soluna Bakery in Berlin – that he should have chosen a white rabbit as the symbol for his central idea: “…we are interested in the balance between love and food.” “We” meant Peter and his team at Soluna, and by “food” he meant first and foremost bread. For him love was many things, beginning with his wife Miriam, his family and many friends, but also extending far beyond this circle until it became something all-encompassing that defied expression in words, including, of course, these words. Because Peter had worked as roadie for 20 years during which period he experimented with many consciousness-altering substances the symbol for all this had to be a white rabbit. 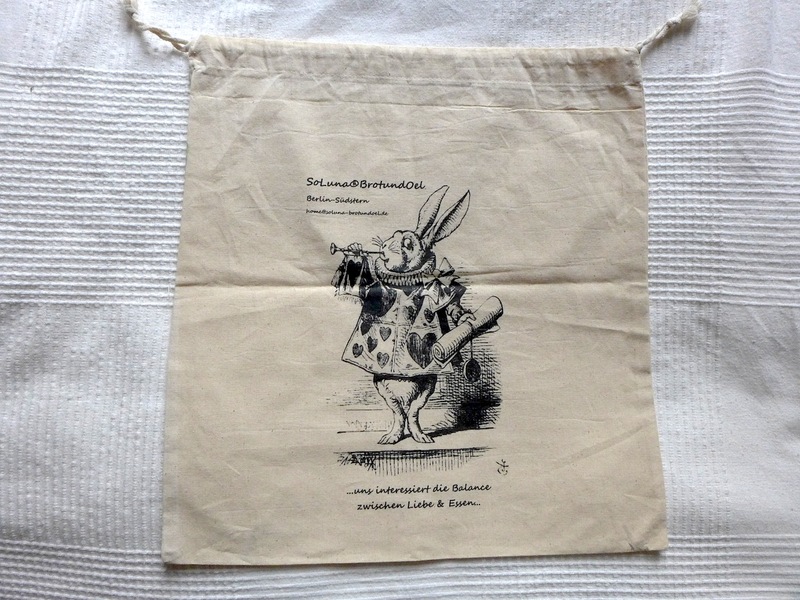 Think of Jefferson Starship’s psychedelic song ‘White Rabbit’ while looking at this Alfred Tenniel illustration from Lewis Carrol’s Alice in Wonderland and I think you’ll get close to what he was thinking of. In this particular illustration the rabbit wears a coat decorated with hearts and is blowing a trumpet to announce that he’s about to read out something important that he’s holding in his other paw. That all fits Peter Klann. He had a message and he lived that message. Bread was his medium in every sense of that word. If this still seems a bit cryptic let me ask a rhetorical question. What would a world where there is no balance between love and food look like? Well, we don’t need to look far to find out! Our world is certainly one where food is available in much greater quantity than love. Here I think it’s worth pointing out that since the late 1930s “bread” has also been used to refer to money. It seems that this goes back to the jazz hipsters of New York City, legend ascribing it to the saxophonist Lester Young. 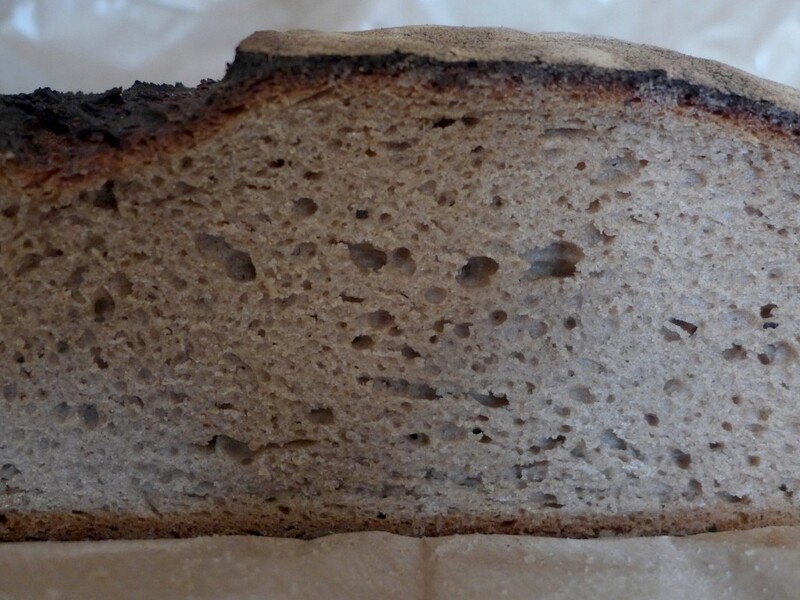 Whether that’s true or not, “bread” shares the same origin as “hip” and “cool”, although back in the New York of the 1930s those words meant something very different to what they do today, something strong and individualistic, rather than referring to those who follow all the fashions with a herd-like mentality. Peter was acutely aware how the great availability of bread, in both the literal and metaphoric sense, and the widespread tendency to accept it in place of love had promoted that herd-like mentality, and it pained him. Now I’m sure that it is possible to describe in a scientific manner how Peter made his bread and explain what made it taste so special (thanks Ben for proving that to me by providing part of that explanation!) However, I think if someone does that and leaves Peter out of the equation, then they will make the mistake of creating a different kind of unbalance between love and food. 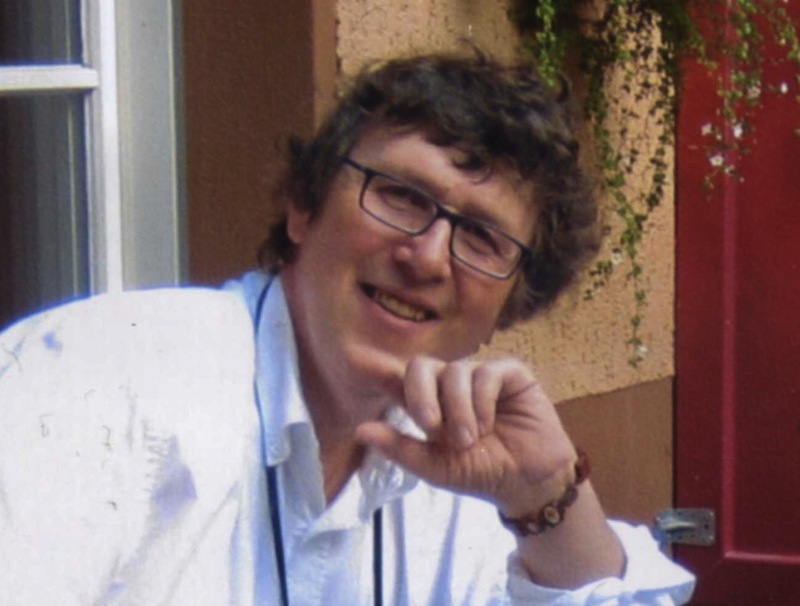 Peter was at once a strong and extremely gentle man, a thinker and a doer; he was restless yet utterly dedicated to his goal. Without all this, as contradictory as it often seemed, I think a huge chunk of the context of Peter’s bread would be lacking, and as Friedrich Nietzsche wrote, “the context is the facts.” Call me superstitious, irrational, or whatever else you want, but I believe that if you open the doors of perception and eat a piece of bread from Soluna (or from Ben and some other ex-Soluna employees), then you can taste something of Peter’s message. Sure a winemaker or a baker must master their trade, then work with dedication to realize their goal, but I think that often you can taste where all of this was done with love. And that has nothing to do with “bread” in the other sense. Normally I’m really good on dates but not for this story, because I didn’t consider it anything even vaguely resembling a story until long after it all happened and consequently didn’t take notes. This picture shows half a loaf of “Rundling” bread baked in the wood-burning oven at the Soluna Bakery in the Gneisenauer Strasse/Berlin-Kreuzberg. That ray of sunlight striking it makes the picture more dramatic than it would otherwise be, but also seems appropriate to me, reminding me of the words of Leonard Cohen song ‘Anthem’, “there is a crack in everything / that’s how the light gets in”. 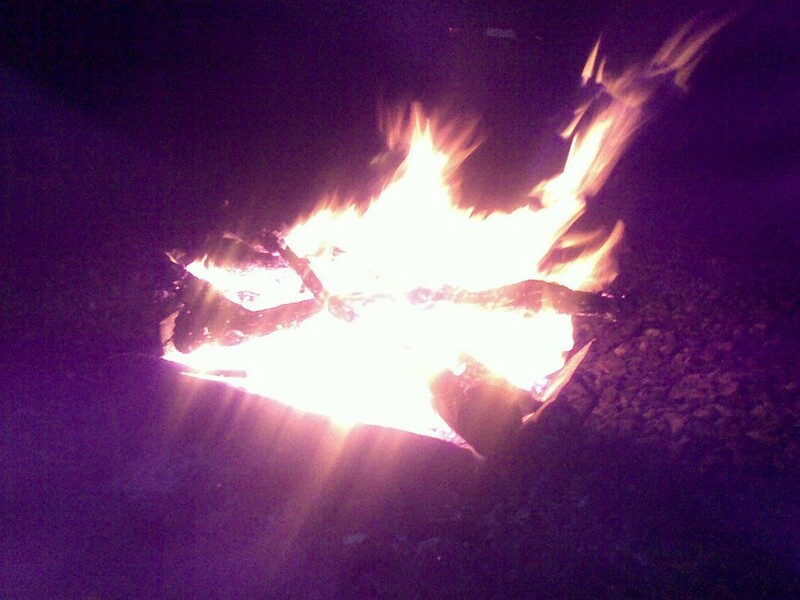 That wood-burning oven has a special meaning for me, because I was present at its first firing. I had naively imagined that Ursula Heinzelmann and I were amongst a big crowd of guests who had been invited to this evening and it therefore didn’t seem to matter that we also attended a wine tasting at the residence of the Portuguese ambassador in Berlin the same evening. It must have been between 2002 and 2006, because that’s when Joao de Vallera was Portuguese ambassador to Germany and staged many such tastings and dinners featuring Portugal’s best wines. Exceptionally, this time after the main course we made our apologies and left before some of the best wines had been served. When we got there the windows of the Soluna Bakery were all sealed up with brown paper and I imagined that a big and noisy crowd must be behind them. The shock when we stepped through the door was great, for there were Peter and his then girlfriend standing next to the blazing oven waiting for us. Nobody else was anywhere to be seen. Reading these lines I can’t help feeling that although I’ve accurately described what happened this doesn’t get over very well the most important thing about that night. What’s missing is the feeling I had that something like this had happened at the first firing of bread ovens for centuries and possibly many thousands of years. There was also a more vague feeling that in spite of the rampant industrialization of bread baking in the West this was a ritual that would be repeated long after we were all dead, and possible also thousands of years in the future. Apart from at various ritual celebrations of completed wine harvests I never had that feeling anywhere else. It makes my heart feel heavy to tell Peter’s story and I can therefore only manage a few things in each posting, which means that this has inevitably become a series. Those of you waiting for a wine of the month will not be disappointed though. I am waiting for a particular bottle to arrive in Berlin in order to have a photograph of it to show you as I usually do with my wine’s of the month. Please be patient, and don’t forget that the best is still to come, because, “there is a crack in everything /that’s how the light gets in”. It was almost exactly a decade ago to the day that I began to think about bread actively for the first time and became aware of its relationship to wine (which only begins with the fact that both are the result of alcoholic fermentation). 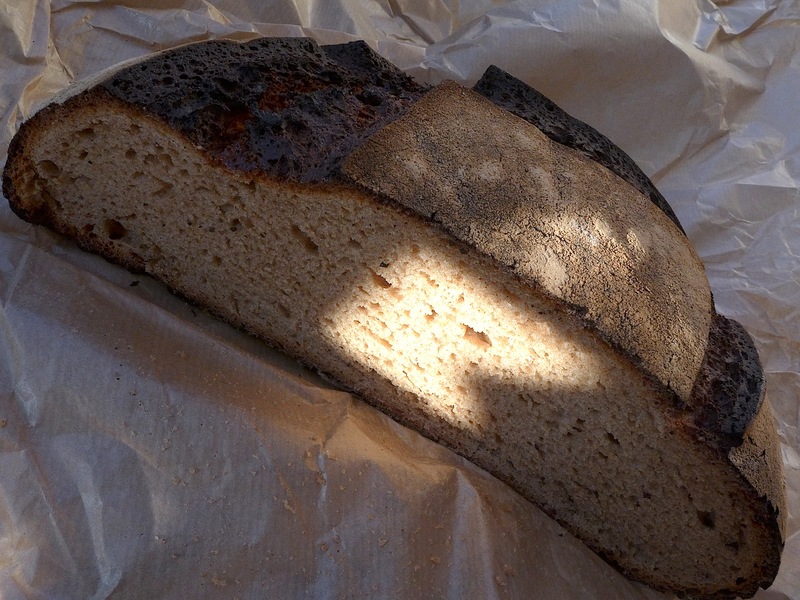 It was almost exactly a year ago that the news of the sudden death of the man who set me thinking about bread, Peter Klann of Soluna Bakery in Berlin, reached me. It was a terrible shock and the shockwaves are still reverberating within me. Perhaps it sounds melodramatic, but nothing will ever be the same. Since Peter’s death my relationship with bread has only become more intense, as documented by the photograph above. 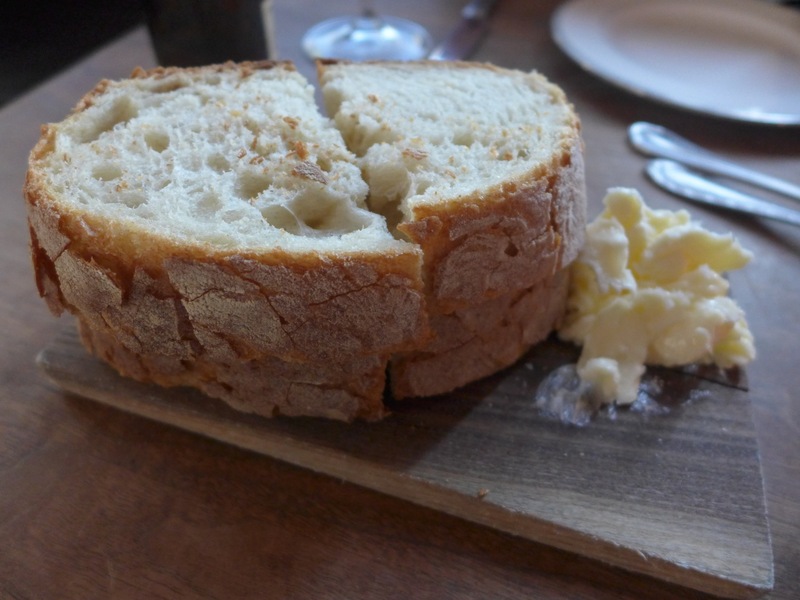 It was taken in The Tasting Kitchen in Venice Beach/LA in June 2013 and shows what you get there when you order “bread and butter” for $5. Of course, there’s something provocative about charging that much for three slices of bread and a knob of butter. Clearly either it was going to be a complete rip-off or a revelation, and it turned out to be some of the best white bread I’d ever eaten. The whole meal was great and very much in the spirit of this appetizer, but it is the bread which sticks in my mind, reminding me of Peter Klann’s words as it does so: “you have to give yourself up to the dough when you are kneading it, rather than try to dominate it. You have to work upon it with your soul, then you get back a piece of yourself in the bread.” It might seem absurd that someone in LA of all places should work upon a piece of dough with their soul (isn’t that so 16th century? ), but clearly someone at the La Brea bakery had taken the trouble to do so! 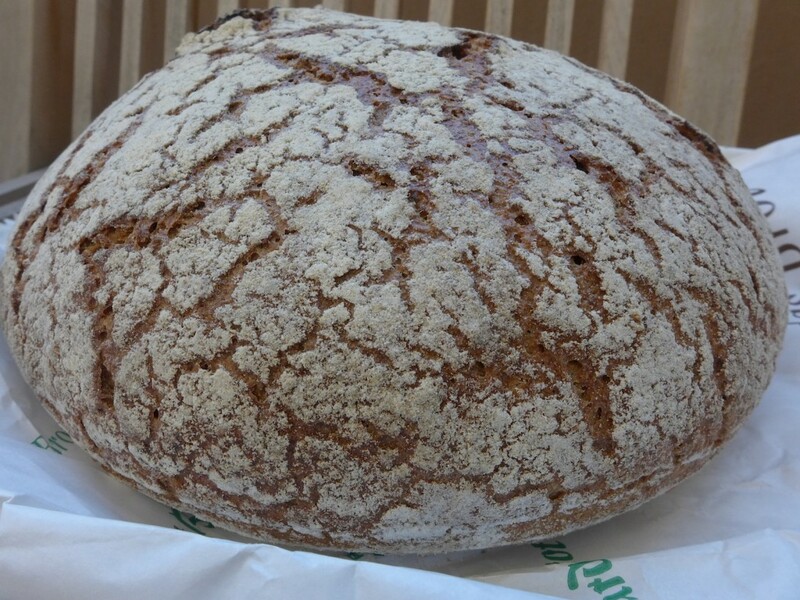 The bread I ate today was Spezial from Weichardt Brot in Berlin pictured above, a mixed wheat and rye bread which is dark in color, dense in texture, rich and slightly tart in flavor. There’s a clear connection here, because when about 20 years ago Peter Klann finally decided to follow in his father’s footsteps and learn the baker’s craft it was from Heinz Weichardt that he did so. By then Heinz Weichardt had long since become a follower of biodynamics, which back then was regarded with scorn as a kind of black magic by almost everybody. It was the high point of the technocratic attitude to food and wine, but as Weichardt and Peter Klann show, even then there were people willing to risk derision and ostracism to explore paths far removed from the Cartesian form of scientific thinking which insists on focusing on small parts and all but ignoring the far more complex whole. The problem with that is the fact that the world is a “network” composed of an untold number of interconnected “strands” and never remains still while we observe it, but is constantly changing. Our observing it changes it and we the observers are not static or unchanging either. Of course, today, many more people are open for biodynamics on the basis that although science can’t explain how it functions it does (or at least some parts of the system do) indeed have an effect. 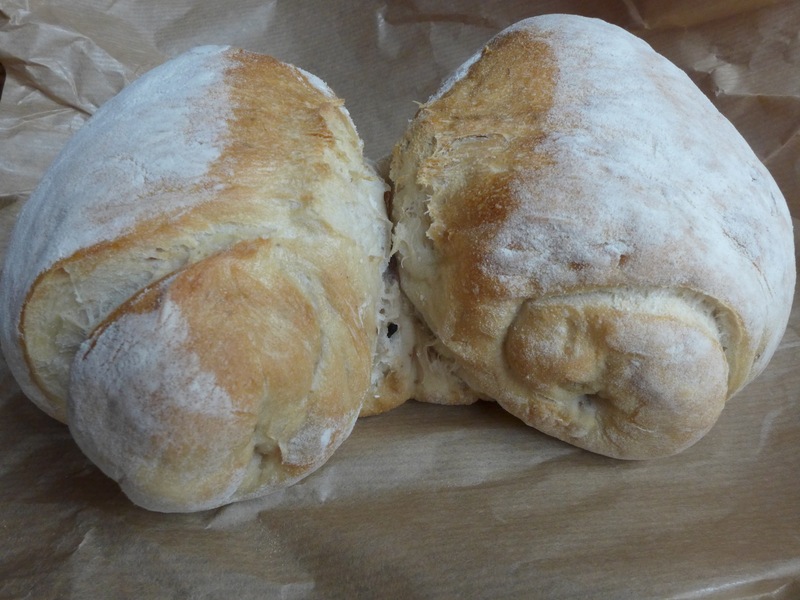 The contemporary willingness to first judge the results, rather than prejudged them through a rejection of the theory behind them, also enabled Peter Klann to gain recognition through breads like his petit pain obscure pictured above. In this case he took something as banal and everyday as a white roll and completely reinvented it. What the photograph can’t show you is the amazing texture which it had that I could already sense the first time I broke one with my hands, and fully appreciated the first time I put a piece in my mouth. There was Peter’s “soul”, or whatever you want to call it, and from his bread I got a feeling for it before I ever met him (which that meeting confirmed). That petit pain obscure a decade ago was also the beginning of my obsession with bread. More about that very soon!